The diagnosis of filariasis traditionally relies on the detection of circulating microfilariae (mf) using Giemsa-stained thick blood smears. This approach has several limitations. We developed a semi-automated microfluidic device to improve and simplify the detection of filarial nematodes. The efficiency and repeatability of the microfluidic device was evaluated. Human EDTA blood samples were ‘spiked’ with B. malayi mf at high, moderate, and low levels, and subsequently tested 10 times. The device was also used for a field survey of feline filariasis in 383 domesticated cats in an area of Narathiwat Province, Thailand, the endemic area of Brugia malayi infection. In the control blood arbitrarily spiked with mf, the high level, moderate level and low level mf-positive controls yielded coefficient variation (CV) values of 4.44, 4.16 and 4.66%, respectively, at the optimized flow rate of 6 µl/min. During the field survey of feline filariasis in Narathiwat Province, the device detected mf in the blood of 34 of 383 cats (8.9%) whereas mf were detected in 28 (7.3%) cats using the blood smear test. Genomic DNA was extracted from mf trapped in the device after which high-resolution melting (HRM) real-time PCR assay was carried out, which enabled the simultaneous diagnosis of filarial species. Among the 34 mf-positive samples, 12 were identified as B. malayi, 15 as Dirofilaria immitis and 7 as| D. repens. We developed a semi-automated microfluidic device to detect mf of filarial parasites that could be used to diagnose lymphatic filariasis in human populations. This novel device facilitates rapid, higher-throughput detection and identification of infection with filariae in blood samples. The filariae are a group of parasitic nematodes that belong to the family Onchocercidae. 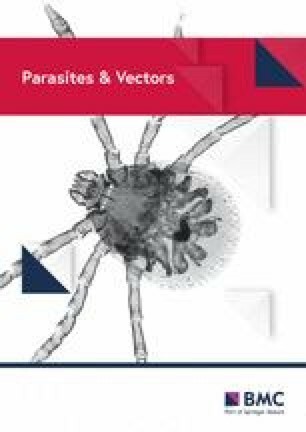 Filarial species that parasitize cats and dogs including Dirofilaria immitis, D. repens, Brugia malayi and B. pahangi are of worldwide zoonotic and veterinary significance and are recognized as emergent human pathogens [1, 2, 3, 4]. Accurate and prompt diagnosis is essential for the management of filarial infection at the individual level and for disease control in populations living in endemic regions. Traditionally, the diagnosis of filariasishas relied on the detection of microfilariae in peripheral blood, using microscopical examination of stained, thick blood smears. According to the World Health Organization (WHO), the drying step of the thick blood smear may require 12 hours in the dry season while 24–48 hours may be needed in the high humidity during the rainy season . Over the past decade, microfluidic technologies, i.e. the precise control of fluids and samples at sub-millimeter scale, adapted for the detection of pathogens in mammalian bodily fluids, have emerged as powerful, facile tools. The microfluidic approach has been applied for the detection of diverse pathogens including blood stages of malarial parasites [6, 7, 8, 9]. The premise of microfluidic technologies is the manipulation and analysis of fluids within micro-channels. The construction of the device is accomplished using microfabrication processes, such as photolithography (PL), deep reactive ion etching (DRI), replica casting, silicon (Si) molds, and others . Microfluidic-based platforms offer advantages in comparison to thick blood smear staining technique, including speed, cost, portability, high throughput and automation . Moreover, microfluidic devices require and consume only minute amounts of samples and reagents, which minimizes waste and expense, and they offer the unique physical advantage of microscale fluid flow . Microfluidic technologies have also been used in research on other parasitic nematodes, including the deployment of a chip device that integrates microfluidics and electrophysiology to provide real-time records of the nano-scale electrical signals emitted by nematode muscles and neurons , and a microfluidic electropharyngeograms to screen anthelmintic candidates and investigate feeding behaviors by nematodes for the discovery of novel anthelmintics . In this study, we report a novel, semi-automated microfluidic device that integrates real-time and high resolution melting PCR for the simultaneous detection and differentiation of species of filariae, in the blood of domesticated cats naturally infected with species of Brugia and Dirofilaria. To study the efficiency and reproducibility of the semi-automated microfluidic device, three groups of samples were prepared by spiking microfilariae (mf) of B. malayi into EDTA blood obtained from a healthy subject. For the survey of feline filariasis in Narathiwat, blood was collected from 383 cats residing in Su-ngai Padi and Tak Bai districts of Narathiwat Province (Fig. 1). The four-channeled microfluidic chip used in this study was adapted from the microfluidic chip reported earlier . In brief, the microfluidic chip was fabricated from polydimethylsiloxane (PDMS) with patterned Photoresist on a silicon wafer . For the present investigation, the pattern features were created on a Si wafer through PL and DRIE processes. The resulting Si master is a molding template for casting PDMS. A 10:1 mixture of PDMS pre-polymer and curing agent was cast with the Si master and the polymer cured at 60 °C for 3 h. Subsequently, the cured polymer from the PDMS replica was removed from the master, and cut to the required shape using a sharp cutter. Inlet and outlet ports were constructed by punching holes through the PDMS chip. The PDMS replica was sealed to a glass slide after the interface bonding process to promote the oxygen plasma process. Silicone tubing was inserted into the holes and sealed with epoxy resin. Figure 2 depicts the microfluidic system, which consists of an infusion pump with an adapter and a 1 ml syringe with a bespoke 5 mm long needle with a blunt end that serves as the injector port for the samples. Up to 10 samples can be processed simultaneously. To optimize the flow rate, testing of the microfluidic device was performed using the same set of mf-positive blood samples. The average number of mf in the blood samples was 60 mf per 50 µl of sample. The device was tested with flow rates of 6, 8 and 10 µl/min. Duplicate flow rates were performed. The run time and the numbers of the trapped mf in the chip were recorded. The choice of optimal operating flow rate was established based on duration of the run and numbers of trapped mf. Before testing, 50 µl of EDTA-treated blood was suspended into 150 µl of the specifically-formulated lysis buffer A, which contained a Triton X-100 and bromophenol blue, mixed and incubated at room temperature for 10 min. The prepared sample was drawn, followed by 15 µl of buffer B containing a chaotropic salt and PBS, into a 1 ml syringe with a specially designed 5 mm long blunt end needle that connects the syringe to the adapter and to the inlet port. The pump was started and the sample solution was introduced into the microfluidic device via the inlet port. The microfilariae were trapped in the microfluidic chip while the remaining solution exited the microfluidic chip via the outlet port and into the waste tube. The trapped mf were inspected by light microscopy at 10× magnification. The semi-automated microfluidic device and the microfluidic chip are shown in Figs. 2, 3. To evaluate the efficiency of the microfluidic device, blood donated by a healthy human was collected in EDTA and subsequently ‘spiked’ with microfilariae of B. malayi to prepare high level (average 30 mf/50 µl), moderate level (average 15.5 mf/50 µl) and low level (average 7.5 mf/50 µl) mf-positive control blood samples. To study the intra-assay variation, 10 replicates of each of these three mf-positive controls were tested in the microfluidic device, which was operated at a flow rate of 6 µl/min. The mean, SD, % CV and range of both the trapped mf and leaked mf were calculated for intra and inter assay variation. Inter assay variation was calculated from the average mf/sample on each of five consecutive days. Giemsa staining of thick blood smears was performed according to the standard WHO procedure . Briefly, 50 µl of EDTA blood was dropped/spotted onto a glass slide, then smeared in a circular shape using the edge of a fresh microscope slide, and then the smeared slide was air-dried overnight (15–18 h) at room temperature. Subsequently, the slide was immersed in water followed by staining for 45–60 min with a freshly prepared working solution of Giemsa stain. After air-drying, the slides were examined under a microscope (40×) for mf by skilled technicians. 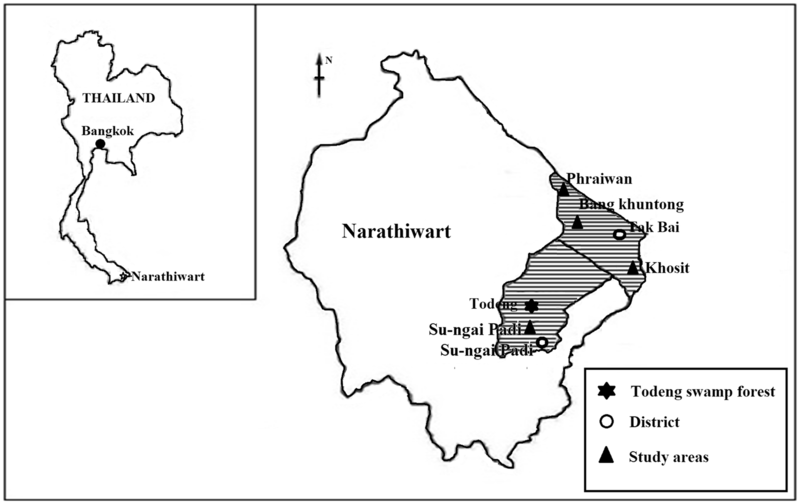 Samples of blood from a total of 383 domesticated cats were obtained from an annual survey of filarial infection in the Su-ngai Padi and Tak Bai districts of Narathiwat Province, the endemic areas of brugian filariasis, conducted by the Filariasis Project, Pikhunthong Royal Development Study Center, Narathiwat, Thailand. A single thick smear slide was prepared from blood obtained by ear prick from each cat. Additional blood was collected from each cat and dispensed into heparinized capillary tubes. The thick blood smear staining technique was performed in the laboratory of the Filarial Project, Phikhunthong Royal project, Narathiwat Province. Microfluidic device testing was performed in the laboratory of the Department of Parasitology, Faculty of Medicine Siriraj Hospital, Mahidol University, Bangkok. All of the study cat blood samples, which were tested for microfilarial detection using the microfluidic device, were blindly performed. To identify species of the trapped mf in the microfluidic chips, 100 µl Tris-EDTA buffer was dispensed into the chip via the inlet port. The chip was placed on a hot plate at 56 °C for 15 min, after which the solution containing the trapped mf was withdrawn through the outlet port and transferred to a 1.5 ml Eppendorf tube. The tube was subjected to centrifugation at 15,520× g for 10 min. The supernatant was discarded, and DNA was extracted from the pelleted material using the Roche high pure PCR template preparation kit, according to the manufacturer’s instructions (Roche Diagnostics GmbH, Penzberg, Germany). DNA concentration was determined using a Nano Drop (Thermo Fisher Scientific) after which the DNA was employed as the template for HRM real-time PCR analysis. The DNA concentration of the 34 mf-positive samples is range between 5.9–11.4 ng per µl. The HRM real-time PCR assay was performed on a Light-Cycler LC480 instrument (Roche, Penzberg, Germany) with primers reported previously . To identify B. malayi, B. pahangi, D. immitis and D. repens, DNA of these four filarial species were used as positive controls (Fig. 4). Nuclease-free water replaced the DNA template for the negative control. Reaction conditions included an activation step at 95 °C for 5 min followed by a 40-step amplification of 10 s at 95 °C, 10 s at 58 °C and 10 s at 72 °C. Subsequently, the products were heated to 95 °C for 1 min and then cooled to 40 °C for 1 min, followed by HRM from 65 to 95 °C. The LightCycler 480 gene scanning software (Roche) was employed to construct melting curves, which were normalized, temperature-shifted and converted to difference plots. Little difference in melting temperature (Tm’s) (< 0.5 °C) was found between melting curves for D. immitis and D. repens and hence it was necessary to distinguish these two species of Dirofilaria by PCR. This was done targeting the cytochrome oxidase subunit 1 (cox1) gene, using the following primers specific for the cox1 gene of D. repens: 5′-AGT GTT GAT GGT CAA CCT GAA TTA-3′ and 5′-GCC AAA ACA GGA ACA GAT AAA ACT-3′ . The HRM was performed as previously described . The fabricated microfluidic chip consists of four parallel microfluidic channels, each of which contains an inlet and outlet, and an enclosed chamber in the middle of each channel (Figs. 2, 3). The height of the microfluidic channels is 50 μm and the width of the inlet and outlet channels is 200 μm. Each enclosed area has a diameter of 2.0 mm and contains an integrated flow-through microfilter. The microfilter has a distance of 3 μm between rectangular pillars. The number of trapped mf and elapsed time were recorded at specified flow rates. The elapsed time at a flow rate of 6 µl/min was 37 min while the elapsed times at flow rates of 8 µl/min and 10 µl/min were 25 and 17 min, respectively. The number of trapped mf at 6 µl/min was 59.5, while 45 mf were trapped at 8 µl/min and 28.5 mf were captured at 10 µl/min (Fig. 3). The flow rate of 6 µl/min was chosen since it trapped the highest amount of mf. The operator required 15 min to prepare 10 samples, 37 min to perform the testing, and 5 min for mf observation under the microscope. Therefore, approximately 5.7 min were needed to complete one sample. To evaluate intra-assay and inter-assay variation, the mean ± SD of the trapped mf and the mean ± SD and % CV of the mf from the outlet (leaked mf) of blood samples with high, moderate and low mf levels were recorded (Table 1). Microfilariae were detected in the blood of 34 of 383 cats (8.9%) using the microfluidic device, whereas mf were detected in blood of 28 cats of these 383 cats (7.3%) by the Giemsa-stained thick blood smear technique. The species of the mf trapped in the microfluidic chamber were identified by real-time PCR with HRM analysis (Table 2). Figure 5 presents a representative HRM finding with amplicons from mf-positive blood and the studied samples, including the melting curve analysis and the normalized and temperature-shifted difference plot. Using the primers of Wongkamchai et al. the amplicons for the positive controls (Bm, B. malayi; Bp, B. pahangi; Di, D. immitis and Dr, D. repens) obtained from the Light Cycler 480 software, were recognized by the HRM assay at melting peaks (Tmʼs) of 75.6 ± 0.08 °C, 77.19 ± 0.12 °C, 74.07 ± 0.21 and 74.15 ± 0.16 °C, respectively. Twelve mf-positive cats were determined to be positive for B. malayi mf whereas 22 mf-positive cats were confirmed to be infected with either D. immitis or D. repens. Thereafter, the DNAs from these 22 mf-positive samples were investigated using the cox1 gene-specific primers for D. repens . The amplicon from the D. repens positive control was recognized in the HRM assay at melting peak (Tmʼs) of 75.32 ± 0.12 °C whereas the findings were negative when tested with D. immitis and with negative control cat blood samples (Fig. 5). In total, 15 mf-positive cats were identified as infected with D. immitis and seven mf-positive cats with D. repens. The analysis of diverse analytes using a single biochip has gained wide utility over the past decade due to its efficacy in the process of identification, diagnosis and discovery, especially for clinical samples . We developed a semi-automated microfluidic device to detect microfilariae of filarial worms. Microfluidic channels within the device facilitated the sieve-like sorting of the microfluidic device. The flow control was achieved by the application of an infusion pump. For the pressure-driven flow used in microfluidics-based assays, it is important to determine the maximum flow rate that allows retention of mf within the chip. Improvements in assay speed attempted by raising the flow rate excessively may cause more mf to be forced through the filter to the outlet, thereby decreasing sensitivity and efficiency. We deployed a flow rate of 6 µl/min as a compromise rate because no mf were found in the outlet and the time spent for one run was not significantly longer than those obtained with higher flow rates. Sample preparation on microfluidic devices is a continuing challenge and a necessary component of developing fully integrated and facile microfluidic diagnostic approaches . When working with biological or clinical samples that are in limited supply, sample preparation remains a weak link in microfluidics chip assays . In our study, lysis of the blood cells is necessary to overcome high concentrations of blood cell components, which can obstruct the flow. Triton X, a non-ionic detergent , was used as the lytic reagent in the sample buffer, and a chaotropic salt was included in the microfluidic chip to facilitate extraction of nucleic acids within the chip . For the sample injection, we applied an adapter to the syringe pump that enabled testing of up to ten samples in a single run. The sample-injector was constructed to include a 1 mm syringe fitted with a blunt ended needle of the desired size. The commercially available needle is 7 cm (2.5 inches) in length bearing a standard, needle-sharp point. In place of the commercial needle, we inserted a short (5 mm), blunt-ended needle, which was simple to construct. This modification rendered the sample-injector safer for the operator to insert into the silicone tube, and also reduced the sample loading time. Another advantage of this bespoke device is the glass slide size of the chip. It includes four channels in concert with the clear background. The mean time per sample was 7.5 minutes. By using the device, a larger number of blood samples could be managed, and results could be obtained within an hour. Since 50 µl of EDTA-treated blood was used per sample, the detection limit (sensitivity) of our developed device was ≥ 20 mf in 1 ml of blood. Moreover, no false positive was found. The device can also be applied for the screening of lymphatic filariasis in human blood. The microfluidic device is portable and weighs three kilograms. However, it requires electrical power to operate, which may restrict its use in more remote settings. Fewer mf were detected using the thick blood smear staining technique compared to the microfluidic device. In an early report on the use of stained thick blood smears for parasitological diagnosis of filariasis, Southgate  compared the counting chamber technique with stained thick blood smear technique to detect microfilariae of W. bancrofti in human blood; all mf-positives by the counting chamber technique were positive by blood film staining technique whereas 77 mf-positive blood samples by counting chamber technique were negative by thick blood smear staining. Southgate concluded that the 77 mf-negative blood obtained from thick blood smear staining technique was due to the loss of mf from the slide during slide preparation . Moreover, losses of microfilariae from blood films result from errors with slide preparation including the use of glass slides that are not clean, blood smears that are too thick, and importantly, insufficiently dried blood films [5, 22]. From our own experience with thick blood smears, human error resulting in false negative mf results is an important problem. This is because performing large numbers of blood samples is tedious, laborious and time consuming. The presence of stained red blood cells in the Giemsa stained smears causes eye fatigue and dizziness in many operators, and can reduce the efficacy and sensitivity of the assay. 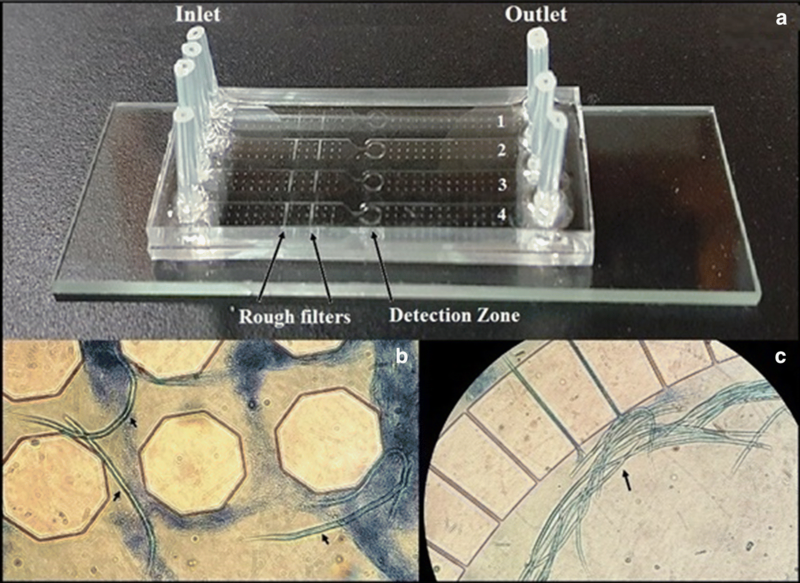 Nevertheless, application of the microfluidic device for filarial detection in cats causes a concern since cats may be infected with both human and zoonotic filariae. Although the mf can be differentiated as sheathed or non-sheathed, the identity of the species may not be clear for non-sheathed filariae in cat blood. Moreover, it is particularly difficult to differentiate mf of B. malayi (human filaria) and B. pahangi (feline species) by Giemsa staining due to their similar morphology . To obviate this concern, we integrated a HRM real-time PCR assay for species differentiation of the trapped mf. Advantages of this technique include that the initial step of DNA extraction can be performed within the chip, and the PCR with HRM analysis can be performed in a single tube using a single pair of primers with no specific probes required. The assay can be performed with sets as large as 384 samples in a single run and without the need for a downstream follow-up PCR step [24, 25]. Furthermore, the assay is sensitive and detects as little as a 19.4 pg genomic DNA/reaction for B. malayi and a 16.4 pg/reaction for D. immitis . The filarial species in all 34 positive cat blood samples were identified satisfactorily. To conclude, we have developed a semi-automated microfluidic device to detect mf of filarial parasites that could be used to diagnose lymphatic filariasis in human populations. Although there are numerous reports dealing with DNA-based detection of filariasis, including the rapid differentiation of D. immitis and D. repens [26, 27], our study is the first to link the microfluidic system with the HRM real-time PCR to achieve a reliable and cost-effective method for rapid identification of feline filarial parasites. This novel device facilitates rapid, higher-throughput detection and identification of infection with filariae in blood samples. We developed a high-throughput, semi-automated microfluidic device integrated with HRM real-time PCR assay for detection and identification of filarial worms in peripheral blood sampled from cats. The microfluidic device paired with the HRM real-time PCR assay enabled rapid simultaneous diagnosis of up to ten discrete blood samples. Device and constituent reagent patents are being sought in Thailand, Patent Request Number 1701001524. We thank Miss Sumart Loymek and the staff of Phikhunthong Royal Project, Narathiwat Province; and Miss Hathai Nochote and Miss Bungoen Sermsart, Department of Parasitology, Faculty of Medicine Siriraj Hospital, Mahidol University for their assistance. We thank the TMEC process line for fabrication of the silicon mold and microfluidic chips. This work was supported by the Faculty of Medicine Siriraj Hospital, Mahidol University (grant number RO15936006) and National Science and Technology Development Agency, Ministry of Science and Technology, Thailand (grant number P1551260). SW participated in experimental design, interpretation of results, and drafting of the manuscript. AP participated in experimental design and performed laboratory work, fieldwork and interpretation of results. WS participated in the design and production of the microfluidic chip. WJ participated in experimental design, design of the microfluidic chip and interpretation of results. PP participated in production of the microfluidic chip and fieldwork. EJ and TT participated in the design of the microfluidic chip. SF participated in the acquisition and interpretation of data. PJB participated in drafting and editing the manuscript. All authors read and approved the final manuscript. Approval was obtained for the use of blood samples from cats from the Animal Ethics Committee of Faculty of Medicine Siriraj Hospital, Mahidol University, based on the Ethics of Animal Experimentation of the National Research Council of Thailand, certificate of approval number 011/2559.